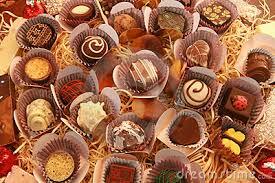 With the festive period in full swing, many of us will be savouring chocolates of different kinds and types. 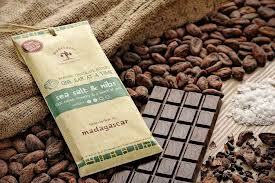 But what do we know about how and where the cocoa beans used to make our chocolates are grown and processed ? A hundred years ago, nearly every chocolate craftsman would have made his own chocolate from scratch. This would have involved sourcing the beans, roasting them, and grinding them into chocolate. 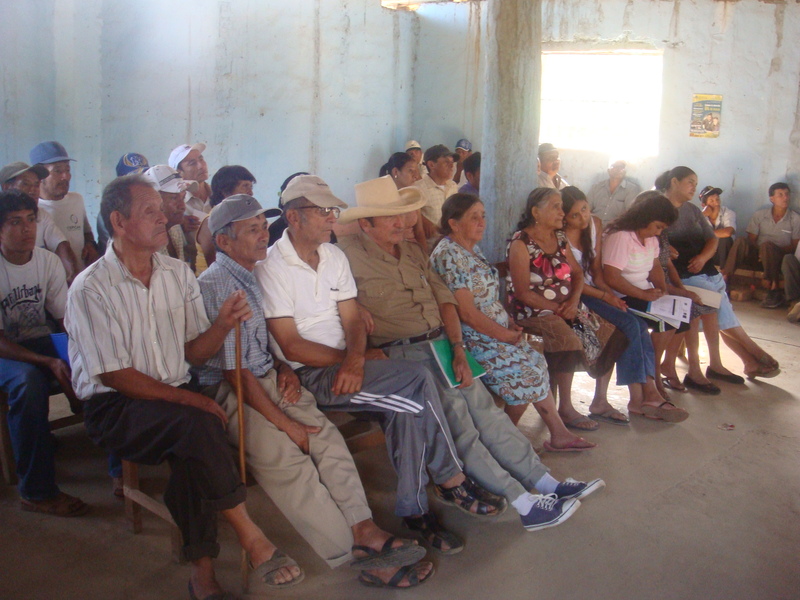 Today, while many chocolate brands and chocolatiers give an impression that they work closely with producing countries to source beans, in reality most rely on wholesale manufacturing companies that buy the beans from cocoa-producing countries and traders and process them into refined chocolate. For many years, the chocolate market has been dominated by mass-market brands whose products use only a low proportion of cocoa, alongside other ingredients such as sugar, milk powder and vegetable fat. Three cocoa-chocolate manufacturers, also known as grinders, dominate the cocoa and chocolate supply chain: Cargill, Barry Callebaut and ADM. Together they control 40% of global cocoa processing and supply chocolate to industrial food companies that use chocolate in their products. 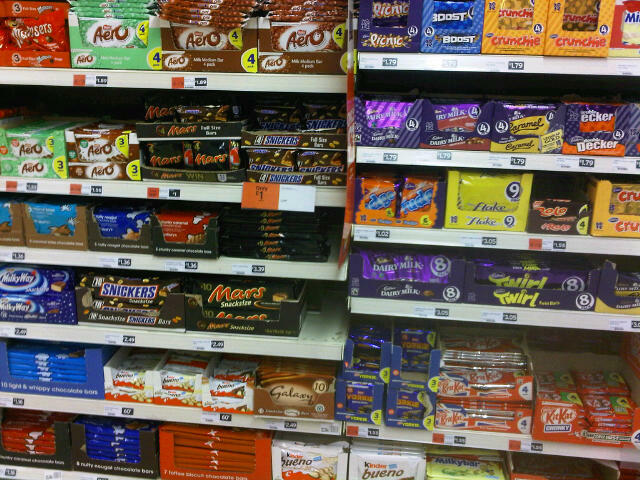 Mars Incorporated, Nestlé, Hershey, Mondelez International, and Ferrero together control 57.4% of the chocolate market. Despite such dominance, a trend in favour of a return to bean-to-bar production is growing. With easier access to cocoa-producing regions and more sophisticated machinery to process the cocoa beans, more and more brands are setting out to ensure that they control the whole chocolate-making process, from the sourcing to the grinding of the beans into chocolate. 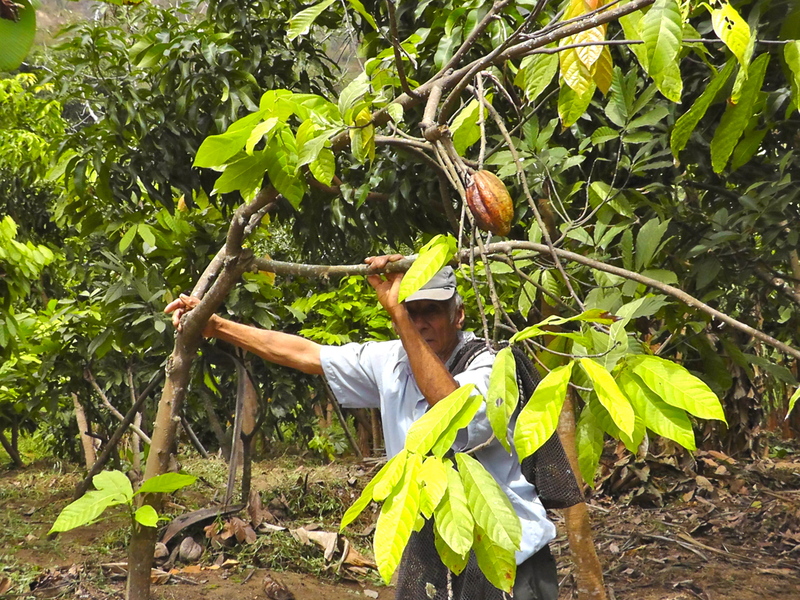 By establishing direct and sustainable relations with cocoa-producing communities, chocolate-makers are able to explore the blend of different cocoa flavours from various origins. Both makers and consumers are thus brought closer to the origins and flavours of chocolate. 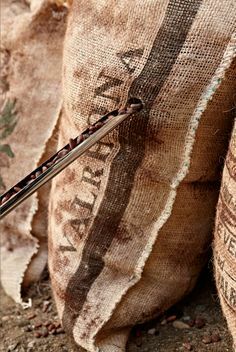 At the niche end of the spectrum, French prestige chocolate-maker Valrhona provides some of the world’s finest origin chocolate couvertures for Michelin star chefs and leading French artisan chocolatiers. Felchlin, of Swiss origin, supplies fine origin couvertures to Swiss chocolatiers. Italy has Amedei, founded in Tuscany, and Domori , located in the region of Turino. Each chocolate-making company tends to be a leader in its own market segment and country of manufacturing, supplying different artisan chocolatiers such as Britain’s William Curley or France’s Jean Paul Hevin and Patrick Roger. In France, a bean-to-bar brand that I highly recommend is Bonnat, a family-owned enterprise founded in 1884 and based in Voiron, southeastern France. Stephane Bonnat, representing the fourth generation of the family, decided to revive the making of the Grand Cru vintage chocolates, sourcing special and rare varieties from around the world. Another well-established chocolate-maker is the Lyonnais based chocolatier Bernachon. Bernachon’s traditional chocolate-making skills inspired the U.S bean-to-bar chocolate-maker Scharffenberger, who even did an internship with the Maitre Chocolatier Jean Jacques Bernachon in Lyon to learn the craft of chocolate-making. 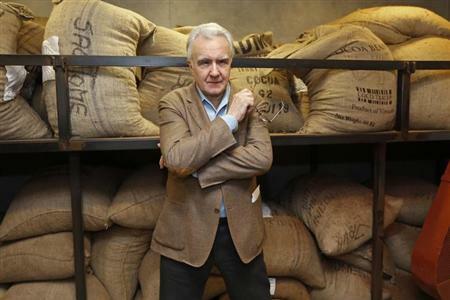 In Paris, leading Michelin star chef Alain Ducasse recently opened his own chocolate factory and boutique called La Manufacture de Chocolat, all in one, where visitors can visit the chocolate workshop seeing the various processes involved in chocolate-making. Passionate about chocolate and its origin flavours, Alain Ducasse wanted to make his own chocolate to serve in his restaurants. His factory and boutique supply all Alain Ducasse restaurant with chocolate bonbons, bars and chocolate coatings for desserts. 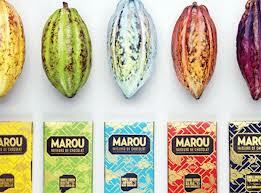 An innovative and great-tasting chocolate brand which has forged strong relations with cocoa farmers is Marou, founded by two young Frenchmen living in Vietnam, Samuel Maruta and Vincent Marou. The firm works closely with farmers in the southeastern cocoa growing region of Vietnam, paying above local market rates to get the best fine-flavoured varieties. In Belgium, Pierre Marcolini, Belgium’s leading chocolatier, controls the sourcing of his beans to create his own blend of exclusive origins and flavouors. Another Belgian, Benoit Nihant, recently set up his own company making a range of chocolate products from cocoa that he sources and process himself. In the UK, numbers of bean-to-bar chocolate-makers have surged in the last couple of years. 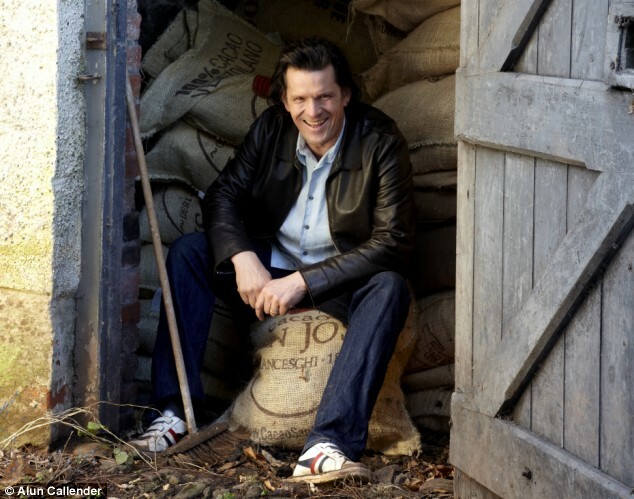 The best known and longest established is Willie’s Cacao, founded by an Englishman passionate about cocoa, fine flavours and haute cuisine, Willie Harcourt-Cooze. A real-life version of Roald Dahl’s Willy Wonka, the fictional character in his 1964 children’s novel Charlie and the Chocolate Factory, Willie took on the difficult challenge of educating the English public on how real chocolate tastes, in contrast to the sweet milky Cadbury chocolate products that most Brits have been brought up on. His efforts were chronicled in 2008 on Channel 4’s documentary Willie’s Wonky Chocolate Factory. 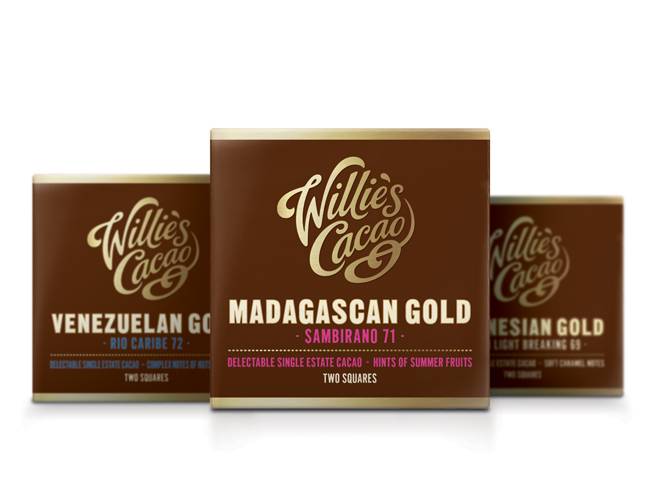 Today, you can buy Willie’s chocolate bars made of cocoa from various origins in high street stores including; Waitrose, Wholefoods and Selfridges. A smaller UK based chocolate-maker is Duffy Sheardown, ex-motor racing professional, who started his own chocolate company, Duffy’s Chocolates, with his wife, Penny. From a modest factory in Cleethorpes, a small British town along the Lincolnshire coast, Duffy and Penny, make their own chocolates from cocoa beans that they source from different origin countries. You can watch how Duffy makes his chocolate from the moment he receives the beans by UPS. The growing emergence of bean-to-bar chocolate brands is providing a market for fine-cocoa genetic varieties that would otherwise be under threat of extinction in the face of competition from higher-yield varieties of lower flavour interest. As consumers once again discover the range of flavours characterising different varieties and origins, the challenge now is to ensure that farmers have sufficient incentive to continue to grow these varieties despite their lower yields and greater vulnerability to pests and diseases.